December 4 2018, Baku – Azerbaijan's low-cost airline Buta Airways received another new Embraer E-190, which was delivered to the airline’s fleet directly from the manufacturer in Brazil. It is the eighth in the low-cost airline’s fleet and will allow add more flights to the most popular destinations in the airline’s flight schedule. 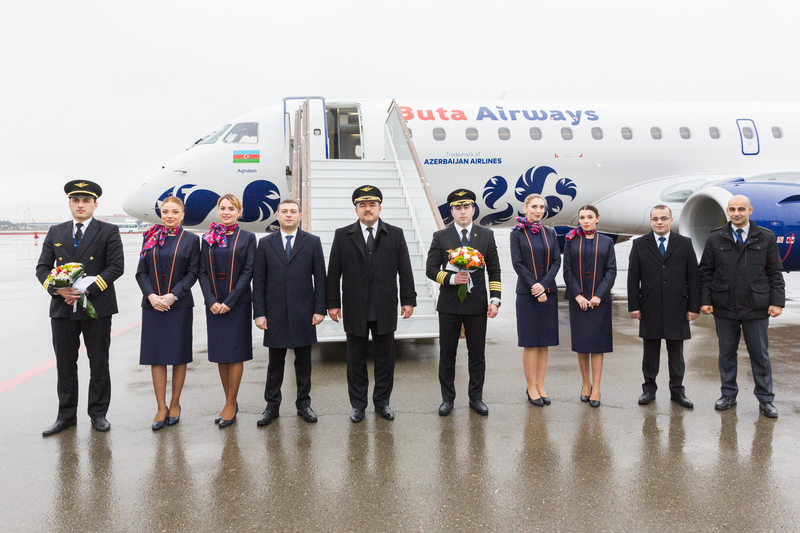 “Adding new aircraft to the fleet will further expand the route network of Buta Airways. We are pleased that the national low-cost airline is in great demand among Azerbaijani citizens and tourists arriving in our country. The increase in the number of flights and destinations of Buta Airways will further contribute to the development of tourism in our country,” AZAL President Jahangir Asgarov said. The new aircraft of Buta Airways is named after the city of Aghdam. By tradition, the new aircraft was welcomed at the Heydar Aliyev International Airport with a water salute. It should be noted that the Airline’s air tickets to most destinations - to Sofia, Alanya, St. Petersburg and other cities are already available in its summer flight schedule. The Airline also increased the number of flights to Izmir to three times a week. 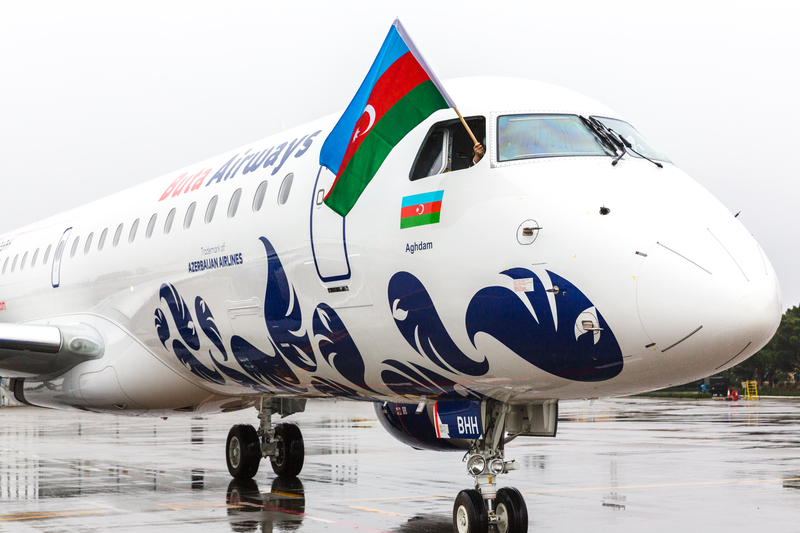 Buta Airways is the first low-cost airline in Azerbaijan, a structural division of the CJSC Azerbaijan Airlines (AZAL). It was founded in December 2016. The first flight was carried out on September 1, 2017. The Airline’s fleet consists of modern Embraer E-190 aircrafts. The Airline is based in Baku, at the Heydar Aliyev International Airport and carries out flights to the most popular destinations.